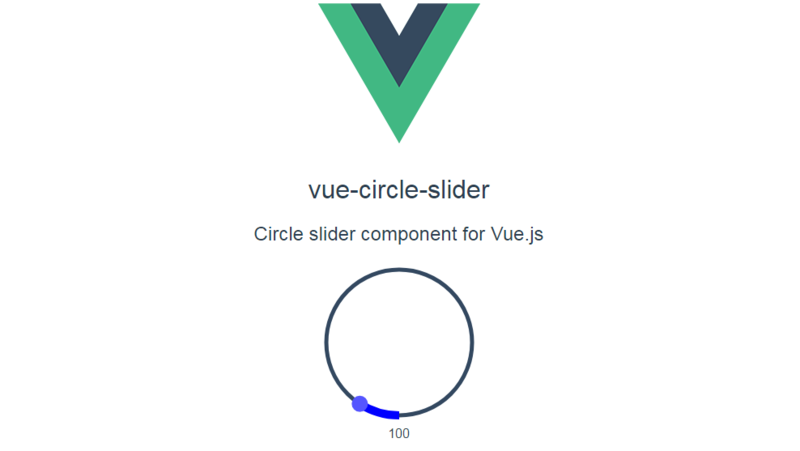 Another good looking UI component for Vue.js, a circled slider. Offering many options for customization such as colors, sizes & touch devices support, it is a good solution for almost any project. Working demo of this project available here. 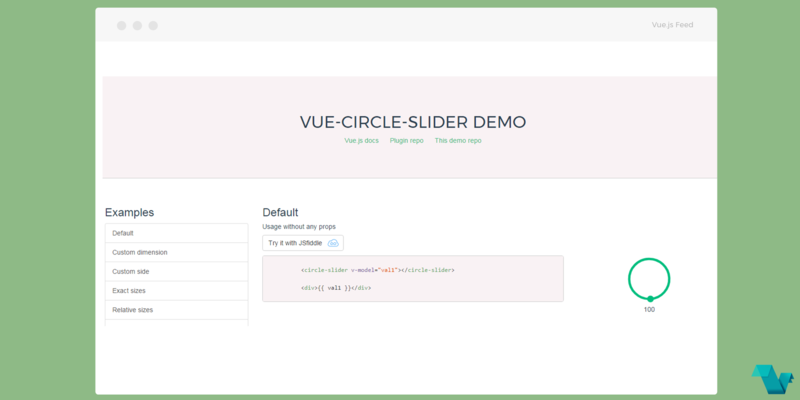 Set the value of the slider to a number and you can display it along with the slider. For details regarding properties check here. To learn more about this plugin and its interface check its public repository on GitHub.